Morning sickness help with natural health is very effective and very safe during pregnancy. There is so much you can do naturally to help mild and severe symptoms of morning sickness. 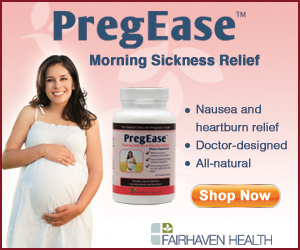 It is unfortunate that many mothers-to-be struggle with morning sickness when natural health can be of assistance. What Cause Nausea During Pregnancy? Nausea during pregnancy is caused by several changes like high estrogen, which can create stomach acidity. Also, women with low blood sugar may experience more nausea a mood swings during pregnancy. Morning sickness can happen anytime during the day, but it can be more common in the morning due to this low blood sugar after hours of fasting and an overnight accumulation of stomach acid. Not all women experience morning sickness the same way. 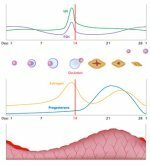 This condition is more common during the first three months of pregnancy as the hormones are adjusting to the changes of gestation. In many cases it is not severe and it will gradually disappear. While it is said that morning sickness is a sign of a healthy pregnancy, the lack of it does not mean that there is anything wrong with your pregnancy. Remember that every woman and every pregnancy is different so you may or may not experience nausea and morning sickness during the first pregnancy, but in the subsequent pregnancies or vice versa. 1. Spend some time outside in fresh air. 2. Walk for 20 minutes daily if your doctor or midwife says that it is Ok.
3. Movement helps increase your circulation and removes stagnant hormones in your liver. 4. Try to add Calcium, Magnesium, B-complex vitamins, especially B6 and iron to your diet. 5. Avoid spicy foods, greasy foods and fast food. 8. Find a prenatal multivitamin that works for you. I would recommend PregnancyPlus. Morning sickness remedies, help increase digestion, support mineral deficiency related to nausea and pregnancy and promote relaxation. Holistic medicines addresses morning sickness symptoms by looking and the underlying cause and attempt to create balance in the body in order to support digestion and overall health keeping in mind the pregnant state needs. Many signs of morning sickness include light nausea that reoccurs every day for the first 3 months of pregnancy. Some women experience morning sickness only when tired. Take care of yourself and rest more often. A degree of nausea and morning sickness is normal and some research points out that hormonal changes during pregnancy leading to morning sickness are a sign that the pregnancy is well established and the woman may have less risk of miscarrying. This finding are non conclusive but help you understand that morning sickness is not related to pregnancy problems. 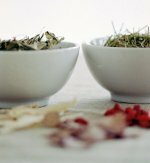 Make a tea from the crushed seeds and sip as needed. Also useful for pregnancy related heartburn. This tea can help if the nausea is constant. Prepare a tea by using ginger root and sip throughout the day to alleviate persistent nausea. Note: do not take excessive mounts of ginger during pregnancy. This herbal tea can be taken any time, but it is very useful if taken upon waking to prevent morning sickness aggravation. The leaves can be utilized to make an herbal infusion that has been used to relieave morning sickness in pregnancy. The tea made from raspberry leaves has been commonly recommended for decreasing the nausea of morning sickness. This is a very excellent tea to drink daily during pregnancy because it also prepares for the birthing process. Morning sickness help with nutrition can be very effective because certain foods do aggravate morning sickness. When women learn what works and what doesn't, they improve their digestive health and decrease nausea and morning sickness fast. Some women feel better by eating a small slice of orange or grapefruit. Adding a little lemon to your drinking water may also help relieve your symptoms of morning sickness. If you are like some women suffering from morning sickness and cannot stand the smell of cooked food, try make yourself a nutritious smoothie or try juicing using only fresh fruits and vegetables. This way you will keep yourself hydrated and well nourished. If you have a juicer, you can try a combination of pineapple, apple, carrot and ginger. Sucking on crushed ices could help keep the nausea at bay. Try making a infusion tea from freshly crushed root ginger and drink it every so often. Ginger is a known remedy for soothing digestive upset and nausea during pregnancy. Another great herbal remedy is peppermint tea. Acupressure can be very effective in relieving nausea. It is a form of alternative medicine which activates the energy flow through the meridian system. It works by stimulating certain acupressure points which are connected with the meridian energy centers and the organs associated with that meridian. The acupressure points that control nausea are on the wrist crease, in line with the little finger. By pressing these points throughout the day, you should be able to find some relief. Cells salts are amazing in bringing relief to nausea of pregnancy especially when it is due mineral deficiencies. You can find t issue salts at your local health food store. These remedies can be taken often during the day (4 tablets 4 times a day) to bring relief of nausea, vomiting, and increased stomach acidity during pregnancy. This remedy helps you when you have low iron absorption during pregnancy and helps prevent anemia and weakness during pregnancy. It is a good remedy for nausea and vomiting worse in the morning. This remedy helps for nausea and water brush (water coming up into the throat, not acid), hiccoughs, and indigestion with vomiting of clear, frothy water or stringy saliva, or with pain and salivation. You will have a strong desire for salty foods with a violent thirst for large quantities. This remedy also helps for constipation due to dryness of the mucous lining. Often you may feel Pain in region of liver and spleen with the nausea. This remedy is a great acid neutralizer and pH balancer. It can help restore alkaline-acid balance and ease symptoms associated with acid reflux, heartburn and nausea during pregnancy. This is the principal remedy indicated for disorders in the secretion and flow of bile. This remedy helps when there is lots of nausea, vomiting and faintness. The morning sickness is worse in the morning upon waking and after eating food.